A question was posed to us, how can you make the current US currency not only interesting to the public, but also have security features and most important of all- accessible to the blind? The blind put a lot of trust into the public to give them back correct change, so as a designer, how would you make easy for them to know which bills were which? 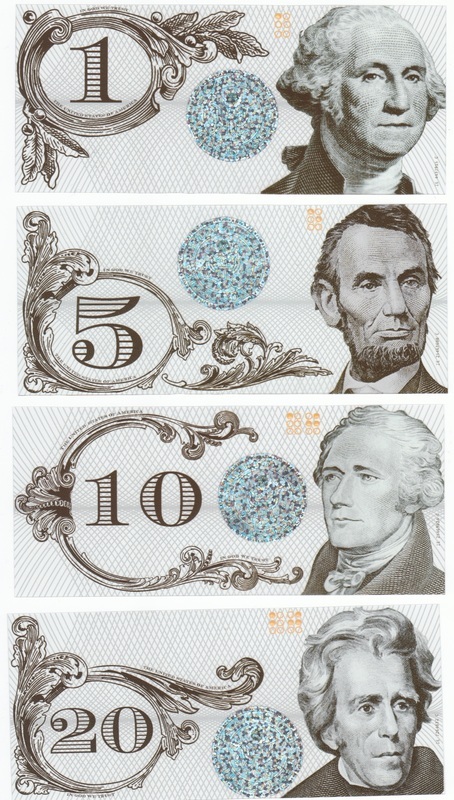 My idea, was to take a more futuristic approach to the currency. Print them on a transparent paper, with a holographic emblem for security, and the plastic itself would then be able to hold a punched braille number for the blind to read. To help give a bit of history to the bills, I added a vector flourish to each bill that referenced the old world printmaking techniques that went into each design. 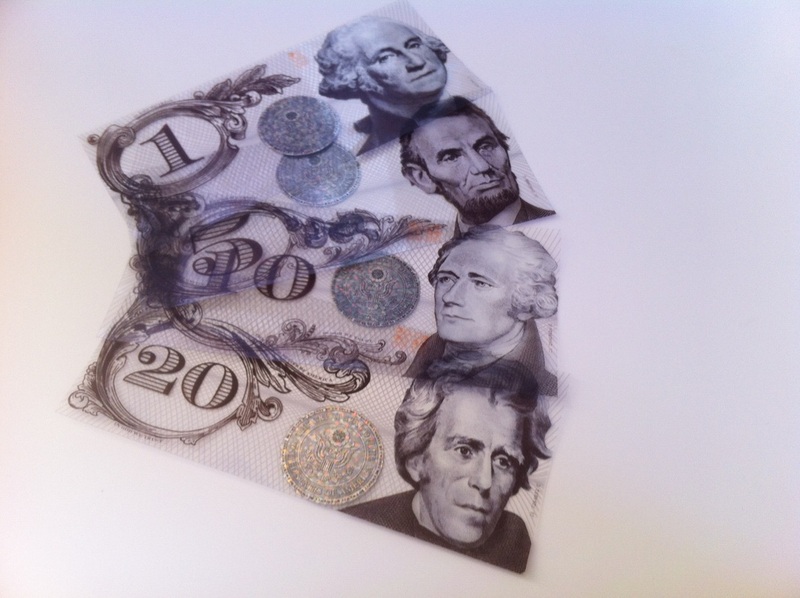 Above: All of the printed bills laying next to one another to show the transparent qualities. Below: Vector Flourished created for the bills.